A new restaurant in Staten Island. I have to say, we were pretty disappointed with Corner House BBQ. We ordered the Full House so that we can try different things. 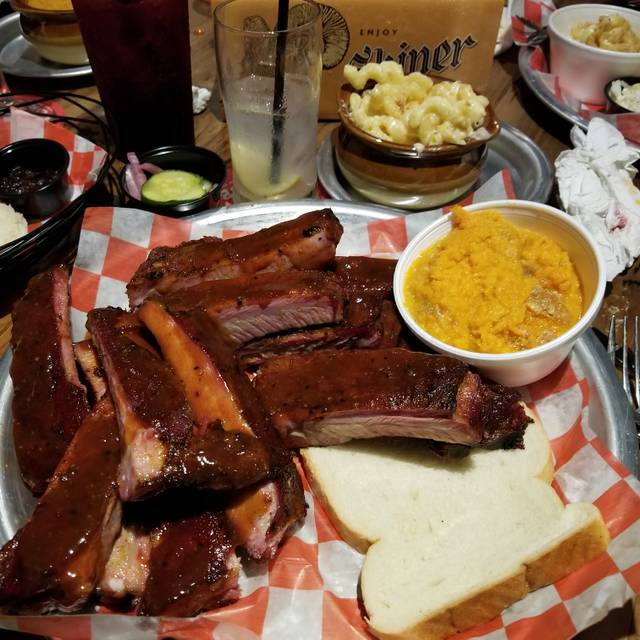 We were expecting fall off the bone ribs, which was anything but. Ribs and chicken were dry. Sausage, brisket, and pulled pork were ok, but have to say, not much flavor. BBQ sauce tasted like bottled, not homemade. My husband makes better ribs and bbq chicken at home including his own BBQ sauce. The sides were good, we had mixed greens, baked mac & cheese, and the corn bread. Given the amount of food you get, it was a good value and we liked the decor which made you feel like you were in a country road house. Our server was nice and attentive. We will not be returning and I would not recommend because of the food. Chicken and waffles were over cooked. Hamburger with egg under cooked. Table next to me sent their food back as well. Kids night was amazing! Very kid-friendly environment. Food was great. Overall amazing experience! Everything was delicious! We were super impressed with the service and the taste of the food. Everything came out quickly and was so tasty! We will definitely be back!! Food was yummy,just two things we ordered ribs & the half chicken. We had to ask for the white sauce they didn’t put on the chicken, also they brought out the bbq sauce for the ribs after I was half way done with the ribs. 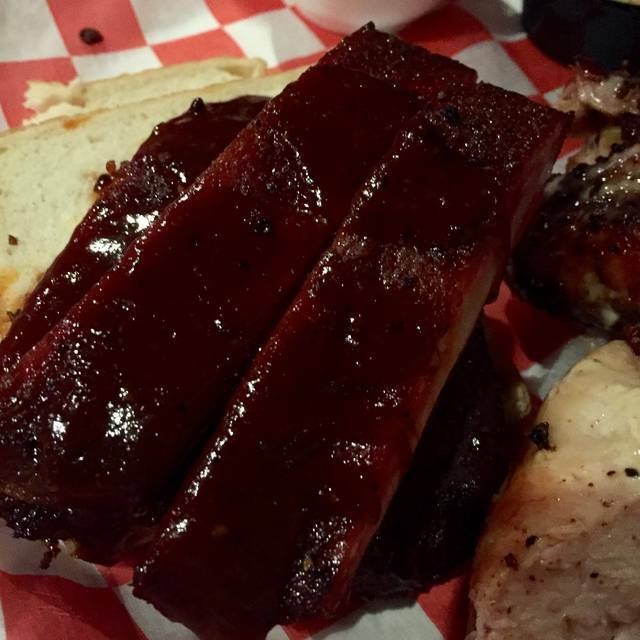 Would’ve enjoyed the ribs better if the bbq sauce had came out with the ribs. 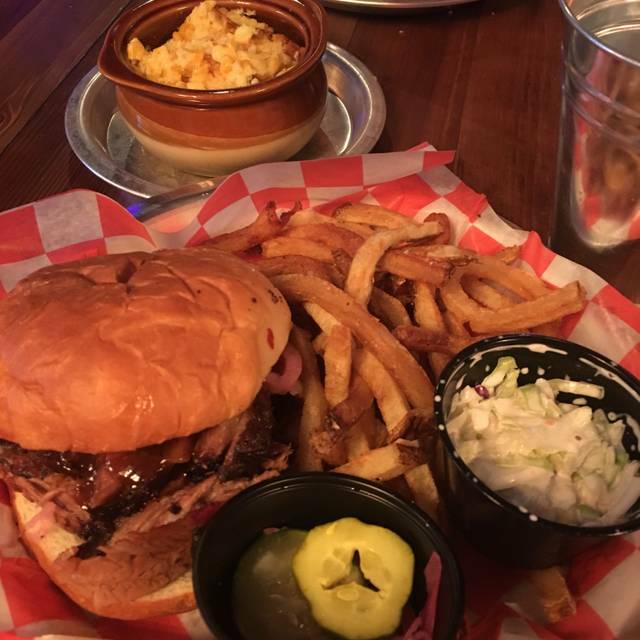 We went to Corner House BBQ for dinner and we were blown away. We tried a bunch of appetizers - biscuits, brisket empanadas, and the bacon. DELICIOUS! Everyone, even the pickiest of the 6 of us, was blown away by the everything we ate. 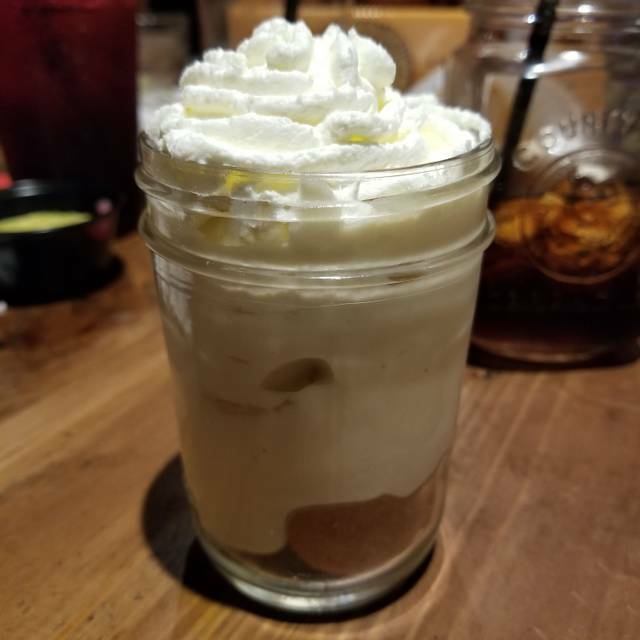 Dinner was amazing and dessert was decadent. Such a hidden gem and we will definitely be back. Service was non-existent. Waited over 30 minutes for food to come out and waiter never asked if we needed refills or to apologize for the long wait. He certainly didn’t make us feel welcome. The food was absolutely amazing. 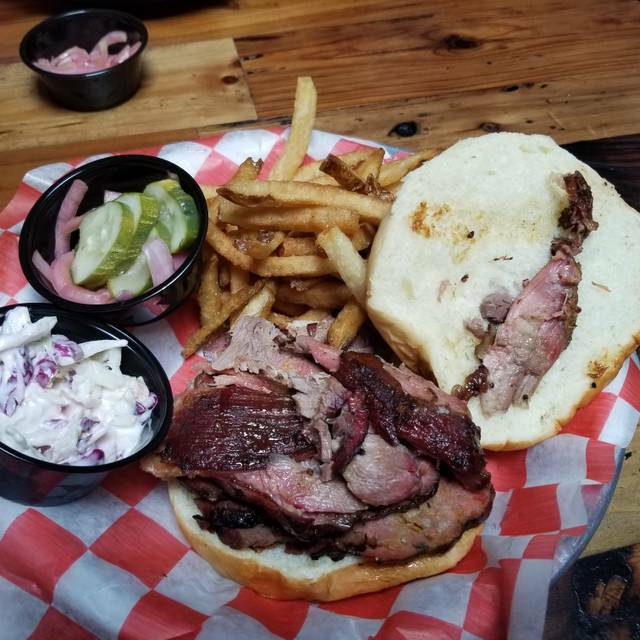 The brisket was so soft it melted in your mouth. 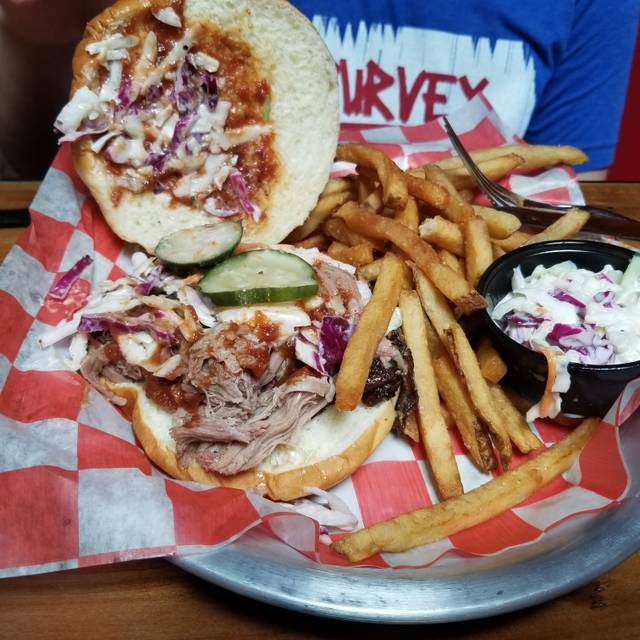 The pulled pork was delicious and had the perfect amount of BBQ sauce. We also had the smoked bacon appetizer and the biscuits with the bacon jam. The bacon jam was delicious sweet with a bacon after taste. Even the drinks were great with their homemade bourbon in sweet tea. Everything about this place was perfect. We highly recommend it and will be back very soon. Excellent service. Very nice waitress. Average food. Chili was very good, but the St. Louis Ribs were tough and not very tasty. It’s too bad they don’t serve Baby Back Ribs. Mac n Cheese was luke warm. It’s expensive. A full rack of ribs with a little cole slaw is $33. Smoke house sandwich meat was very dry. Sweet potato casserole was cool they took it back and reheated it which burnt the marshmallows instead of serving a new one poutine was burnt on top. Took all burnt pieces off. Really not worth the trip. First and last time. Very good food. Something different. Building is old & drafty. Dress warm! cramped. how to maneuver around the place and between tables. Family was in from out of town. We always wanted to try it and glad we had!! It was fantastic! Food was ammmmmazing! Service was great!! Highly recommend! 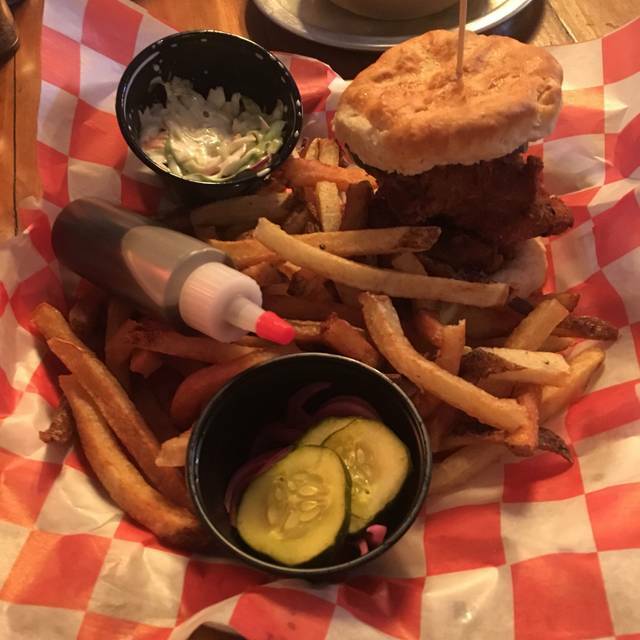 Excellent service, delicious food and love that The Corner House BBQ participates in the community offering the Pink Chair to assist local families battling Pediatric Cancer. Wonderful, fun ambiance! Looking forward to going back! Great food, drinks and time! 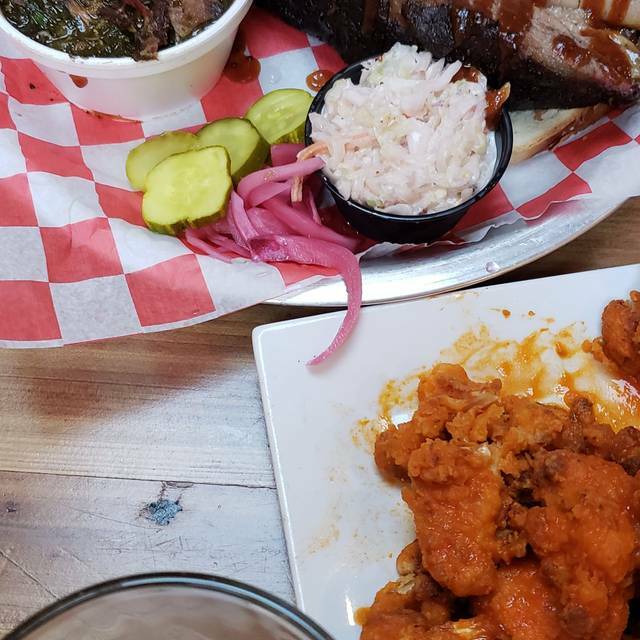 Third visit to the Corner House BBQ since it opened and can see they’ve gotten over some of the kinks. Food is good but a bit pricey. Specialty drinks are over priced so stick with the beer, for which they have a great selection. The noise level in the back room was quite distracting, but to be fair..the back room is where most of the larger groups sit so I guess its to be expected. All-in-all, a good place to meet up with friends in a fun atmosphere. However maybe not for a first date! Service was pretty good. Food was just OK.
Food and Service were very good. Recommend making a reservation since the restaurant is small and has limited seating. Will definitely go back again. Fantastic food, fantastic service. It’s that simple!! Our beer was flat, our server was very nice but hardly attentive. Had to ask three times for an ice water. Pulled pork was dry. Kids loved the ribs. The food is always really good but service is inconsistent. Have been there 4 times and only 1 good waiter so far. Highly recommend chicken and waffles on Wednesdays! Mike was our server....great personality very energetic and attentive. Food was excellent The meal servings and the sides were nice size portions. Everything was very tastey and well prepared. The food is as pretty good. Make sure you come hungry! 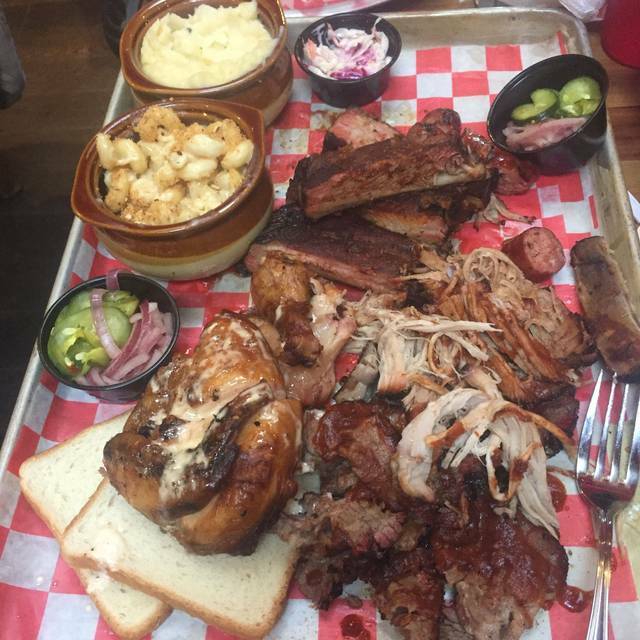 I had the brisket platter and it was delicious. The brisket was great as was he Cole slaw and greens. My wife and daughter both had the fried chicken and said it was amazing. I will definitely be going back to try everything else. Made a reservation thru your app. Got to the restaurant showed them my confirmation no. They had no record of it, but sat us immediately even though the restaurant was full. Service was an issue, at best slow and in attentive! Side dishes are a winnner here!! The food was great! And I enjoyed the atmosphere! We went with another couple on a Saturday night. The food was very good. We each had something different and we each loved what we got. We highly recommend the Buffalo Cauliflower as an appetizer. And also highly recommend the Lincoln Ave Lemonade.